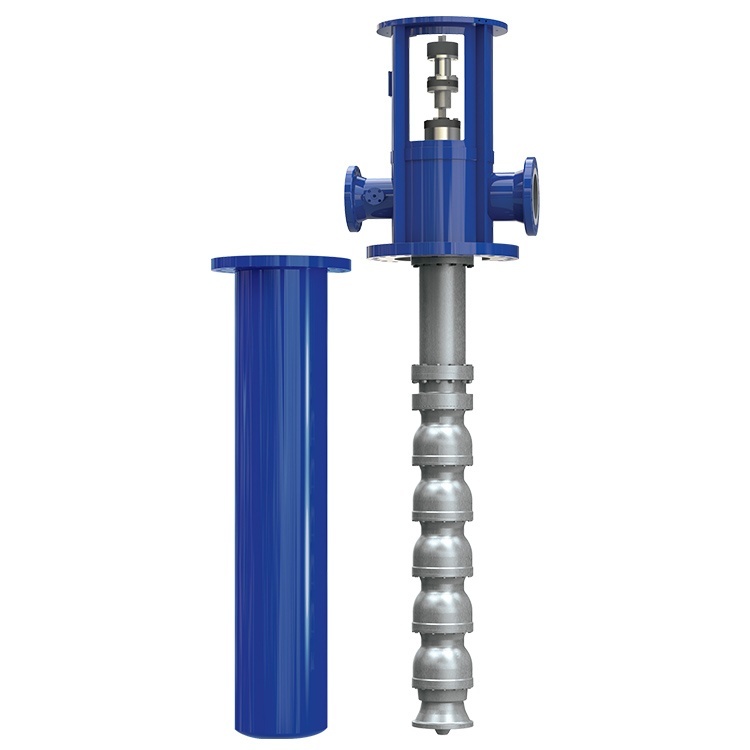 The cryogenic VLT pump is a vertical “canned” pump consisting of a multi-stage bowl assembly, a suction barrel, nozzle head and a directly connected vertical driver. Ruhrpumpen’s cryogenic VLT pump is the development of years of experience in cryogenic service and considers the unique engineering challenges associated with low temperature, cryogenic pumping. These pumps are used both stand-by and continuous service. The pump is designed to mount in a “cold box” so that all of the low temperature portions of the unit can be insulated. It is normally driven by a vertical solid shaft electric motor that is designed to carry the hydraulic thrust developed by the pump through grease lubricated anti-friction bearings.